The enormous magnitude of GHG emissions reductions needed to prevent catastrophic warming. The speed of GHG emissions reductions needed to prevent catastrophic warming. No nation may either legally or morally use national self-interest alone as justification for their failure to fully meet their obligation under the UNFCCC. No nation may either legally or morally use scientific uncertainty as justification for their failure to fully meet their obligations under the UNFCCC. Developed countries must legally, morally, and practically help finance mitigation and adaptation programs in poor developing countries. 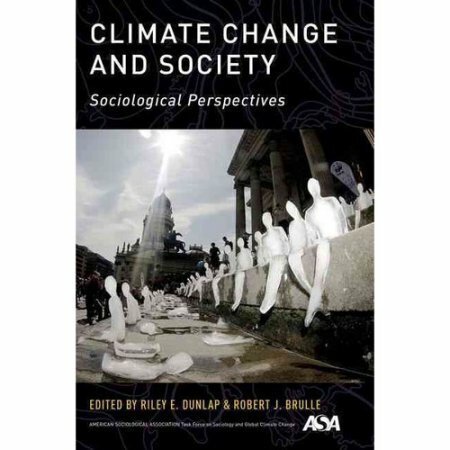 The need for broad understanding among civil society of these issues follows from several recent scientific reports on climate change. For instance, on October 8, 2018, the Intergovernmental Panel on Climate Change (IPCC) issued a Special Report on limiting global warming to 1.5 degrees C above pre-industrial temperatures. This landmark report, along with several additional recent scientific studies published in the last few months including a paper published by the Proceedings of the US National Academy of Sciences on July 21, 2018, Trajectories of the Earth System in the Anthropocene by Steffen et.al., and a paper published in mid-August of this year in Nature Communications by Anthony et. al., 21st-Century Modeled Permafrost Carbon Emissions Accelerated by Abrupt Thaw Beneath, lead to the conclusion that the international community is facing an urgent existential crisis that threatens life on Earth. Preventing this catastrophe requires the entire international community at all levels of government (national, state, regional, and local) to engage immediately in an unprecedented effort to rapidly reduce GHG emissions to net zero in the next few decades. The IPCC Special Report concludes that limiting global warming to 1.5°C would require rapid, far-reaching, and unprecedented changes in all aspects of society. This is so because to limit warming to 1.5 C, CO2 emissions would need to fall by about 45 percent from 2010 levels by 2030, reaching ‘net zero’ around 2050 according to the IPCC Special Report. This means if global CO2 emissions have not fallen to net zero levels by 2050, any remaining emissions would need to balanced by removing CO2 from the air. The Steffen et. al. paper also describes how the positive feedbacks depicted in the following graphic, once triggered could initiate other feedbacks creating a cascade of positive feedbacks, each of which could speed up the warming which is already causing great harm and suffering around the world. The paper claims this mechanism could make life on much of the Earth uninhabitable which could lead to social collapse on the global scale and ultimately to warming increases that human reductions of greenhouse gases (GHG) emissions alone would not prevent additional warming until the global system reached a new temperature equilibrium at much higher temperatures than the human race has ever experienced. In other words, cascading positive feedbacks in the climate system could result in humans losing control over reducing disastrous warming. The Steffen et.al paper also explains how human-induced warming of slightly over 1.0 degrees C is already rapidly approaching levels that may trigger positive climate feedbacks which could greatly accelerate the warming already plaguing the world by causing record floods, deadly heat waves, droughts, increasing tropical diseases, forest fires, more intense and damaging storms, sea level rise, coral bleaching, acidification of oceans, all of which are contributing to increasing the number of refugees which are destabilizing governments around the world. The Anthony et.al paper also explains that, contrary to common assumptions previously made by many in the international community that positive feedbacks in the climate system that could cause abrupt temperature increases would not likely be triggered if warming could be limited to below 20 C above pre-industrial levels, positive feedbacks could be initiated between current temperatures which have risen slightly above 1.10 C and 20 C. Moreover, the additional warming caused by these feedbacks could initiate other feedbacks creating a cascade of positive feedbacks, each of which could speed up the warming which is already causing great harm and suffering around the world, phenomena which threaten life on earth. For these reasons, citizens around the world need to understand the urgent need to reduce GHG emissions to net zero as soon as possible. 2. The Speed of GHG Reductions Needed to Prevent Catastrophic Warming. Every day that nations fail to reduce their GHG emissions to levels required of them to achieve a warming limit goal such as 2 degrees C makes the problem worse because the carbon budgets for the whole world that must constrain global emissions to achieve any warming limit goal shrink as emissions continue. Therefore, the speed that nations reduce their GHG emissions reductions is as important as the magnitude of the reductions identified by any national GHG reduction commitment. For this reason, any national commitment on climate change should not only identify the amount of GHG emissions that will be reduced by a certain date, but also the reduction pathway by which these reductions will be achieved. 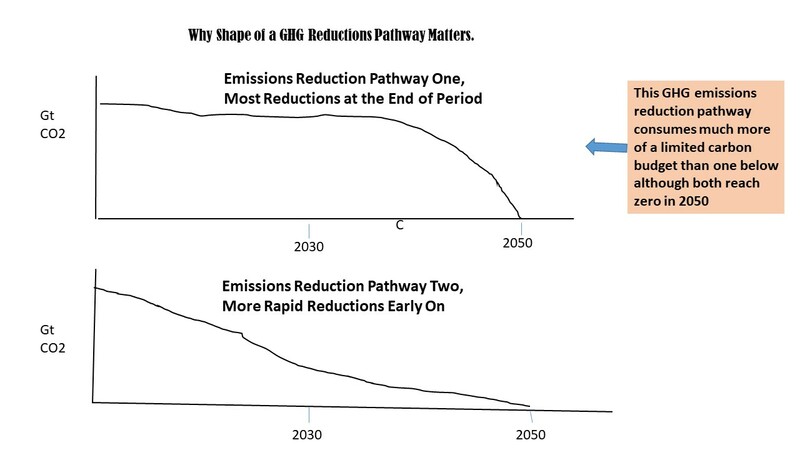 The following illustration depicts two different GHG reduction pathways for reaching zero emissions by 2050. Although the curve on the top achieves zero GHG emissions at the same time as the curve on the bottom, total emissions during the period are much greater following the emissions reductions pathway under the top curve compared to total emissions under the bottom curve because the lower curve pathway more quickly reduces emissions. Citizens need to understand that waiting to reduce GHG emissions makes the problem worse because waiting consumes more of any shrinking carbon budget that must constrain global emissions to achieve any warming limit goal. 3. No Nation may either Legally or Morally use National Self-interest Alone as Justification for Their Failure to Fully Meet Their Obligations under the UNFCCC. Because GHG emissions from every country mix rapidly in the atmosphere, all nations’ emissions are contributing to rising atmospheric GHG concentrations thus harming people and ecological systems on which life depends all over the world. 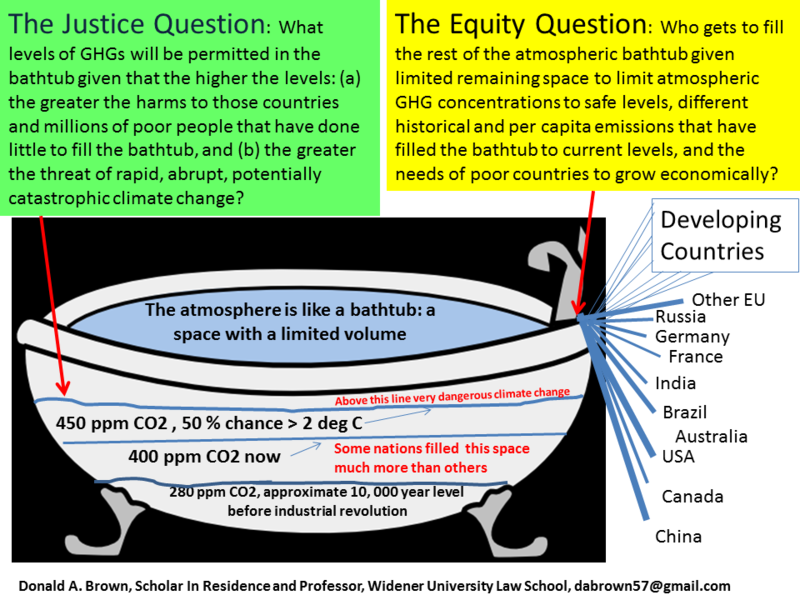 The above illustration depicts that the atmosphere is analogous to a bathtub in that it has limited volume and that all nations emitting GHGs are raising atmospheric concentration of GHGs to its current concentration of approximately 407 ppm CO2 (the second line from the bottom in the above bathtub) which level is already causing enormous harm in many vulnerable countries while threatening the entire world if the atmospheric GHG concentration is raised to levels which trip positive feedbacks discussed above (represented by the upper line in the above bathtub). Thus high-emitting countries such as the US may not formulate their climate change policies on the basis of costs and benefits to itself alone. Particularly those nations that are emitting high levels of GHGs must acknowledge and respond to the devastating climate change harms they are already contributing to in other countries and particularly harms to poor people and nations that are most vulnerable to climate change impacts. Thus in the United States, for instance, the Trump administration’s justification for withdrawing the United States from the Paris Agreement on the basis of “putting US interests first ” is ethically indefensible and tragic because of the damage the Trump climate change policy will cause outside the United States. 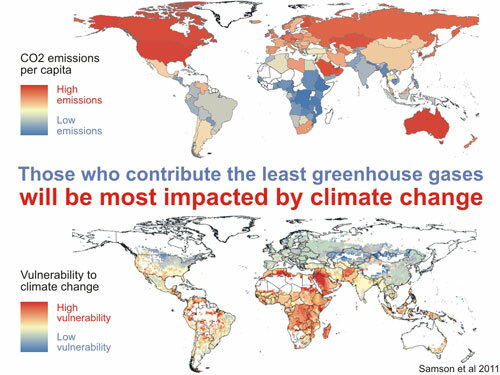 The following illustration depicts nations emitting high levels of GHG in red in the top half of the illustration while those countries most vulnerable to climate change impacts are indicated in red in the bottom half of the illustration. For this reason, as a matter of law, given that nations under the UNFCCC agreed to stabilize GHG concentrations in the atmosphere at a level that would prevent dangerous anthropogenic interference with the climate system. 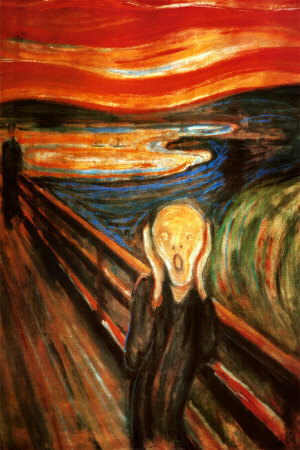 (UNFCCC, Art. 2), a nation may not fail to reduce its GHG emissions to its fair share of safe global emissions based on the cost to it because it has ethical and legal duties to other nations not to harm them. 4. Scientific Uncertainty is Not a Legally or Morally Defensible Justification for Not Adopting Aggressive Climate Change Policy Responses. Although opponents of climate change policies have justified their opposition on the basis of scientific uncertainty, and despite the fact that the most prestigious scientific organizations have expressly stated their conclusions about the enormous threat of climate change with increasingly higher levels of scientific probability for over 40 years, scientific uncertainty is not a justifiable response for any nation’s unwillingness to adopt climate change policies as a matter of law or morally. Under international law, including the 1992 United Nations Framework Convention on Climate Change (UNFCCC, Art. 3.3) which states in relevant part “where there are threats of serious or irreversible damage, lack of full scientific certainty may not be used as a reason for postponing such measures,” and the “no harm principle”, a principle of customary international law recognized in the Preamble to the UNFCCC, nations may not legally use scientific uncertainty as an excuse for failing to take action to prevent dangerous climate change. Also as we explained previously in 2008 in The Ethical Duty to Reduce Greenhouse Gas Emissions in the Face of Scientific Uncertainty, nations also have had a strong moral responsibility to take action to reduce the threat of climate change once it was scientifically understood that GHG emissions could cause serious harms even if the harms had not been proven with high degrees of scientific certainty. 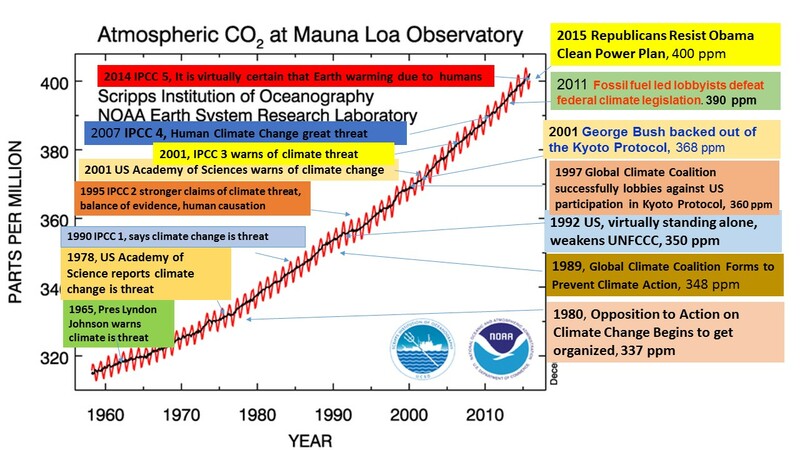 Given, that numerous reputable scientific organizations beginning in the late 1970s, including the US National Academies of Sciences, (See Early Climate Change Consensus at the National Academy) and five reports from the Intergovernmental Panel on Climate Change beginning in 1990 (See IPCC report timeline) have concluded with increasing levels of certainty that human activities are dangerously threatening people and ecological systems on which life depends, nations have been on strong notice for over four decades that human activities responsible for GHG emissions are dangerous to the human community, thus nations have been on notice about the dangers of climate change for over 40 years and therefore may not legally or morally use scientific uncertainty as an excuse for failing to adopt climate change policies that will reduce their GHG emissions to levels required of them to prevent dangerous climate change. 5. High Emitting Developed Countries, Including the United States, Must Reduce GHG Emissions More Aggressively than Other Countries as a Matter of Law and Practically to Prevent Dangerous Climate Change. these equity principles can be understood to comprise four key dimensions: responsibility, capacity, equality and the right to sustainable development (IPCC, , AR5, WG III, Ch 4, p. 318). As a matter of law, therefore, high-emitting countries such as the United States must reduce its GHG emissions to safe levels based on equity at faster levels than other countries as any reasonable interpretation of equity would require the US to make much larger and more rapid GHG reductions than almost all other nations given that the United States (under the concept of responsibility) emitted 5,011,687 metric kilotons (kt) of CO2 equivalent emissions in 2016, second only to China’s 10,432,741 kt CO2. (Netherlands Environmental Agency), also under the concept of responsibility the United States has emitted a greater amount of cumulative CO2 emissions, that is 29.3% of global CO2 emissions between 1850 and 2002, while China emitted 7.6% during the same period, (WRI, Cumulative Emissions) making the US much more responsible for raising atmospheric concentrations of CO2 to the current level of approximately 406 ppm than any country. Also, under the concept of equality given the US is responsible for 15.56 metric tons per capita CO2 emissions which is more than twice as much as China’s 7.45 metric tons per capita in 2016 (World Bank), as a matter of equity the US must reduce its GHG emissions much more rapidly and steeply than almost all countries. 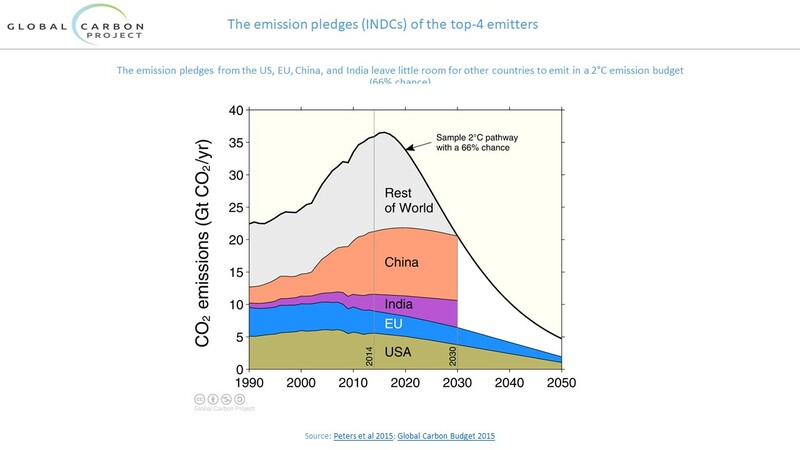 The following illustration demonstrates why high-emitting nations must also practically reduce emissions more aggressively than other nations because it can be seen that if the high emitting nations such as China, the EU, and USA, depicted near the bottom of the illustration, don’t reduce GHG emissions muchfaster than the rest of the world, and if the international community is going to be restrained by the emissions reduction pathway needed to achieve a warming limit goal, such as the 2 degee C pathway depicted in the illustration, then there is quickly nothing left for the rest of the world. Therefore, high-emitting nations must more aggressively reduce their emissions than lower emitting nations not only as a matter of law but also to retain any hope for the international community to achieve warming limit goals agreed to in the Paris Agreement of as close as possible to 1.5 degrees C but no greater than 2 degrees C.
6. Developed Nations Have a Legal and Moral Duty to Provide Financial Resources to Assist Developing Nartions with both Mitigation and Adaptation Programs and this Financial Assistance is also Practically Indespensible to Prevent Climate-induced Harms in all Countries. Financial support of developing nation’s mitigation obligations under the UNFCCC mitigations is not only legally required under the UNFCCC but also practically important because large-scale investments are required to significantly reduce emissions and dangerous climate change will not likely be avoided unless developing nations reduce their GHG emissions to their fair share of safe global emissions. Financial support for developing nations by developed nations is also both legally and ethically required to meet the adaptation needs of developing countries, as significant financial resources are needed by many vulnerable countries to adapt to the adverse climate change. Climate impacts, such as sea-level rise and more frequent droughts and floods, are already having devastating effects on communities and individuals in developing countries. These impacts on developing countries are already affecting developed nations because, for instance, between 2008 and 2011, approximately 87 million people were displaced due to extreme weather events which is causing a mass migration of refugees which is destabilizing many developed nations, particularly in Europe. (Climate Change in Developing Countries, Government of Canada) According to the World Health Organization, climate change is expected to contribute to approximately 250,000 additional deaths per year from malnutrition, malaria, diarrhea and heat stress. (World Health Organization, Climate and Health) . Because climate change is already destabilizing developed countries due to refugees who are fleeing vulnerable areas of poor developing nations that have become inhabitable due to climate change-induced droughts, floods, loss of drinking water, and rising seas, if developed nations do not help finance climate change adaptation programs in developing countries, they will experience growing conflict and stress caused by vulnerable people and refugees in developing countries who are both creating conflicts in their countries and in developed countries they have or are seeking to enter. . 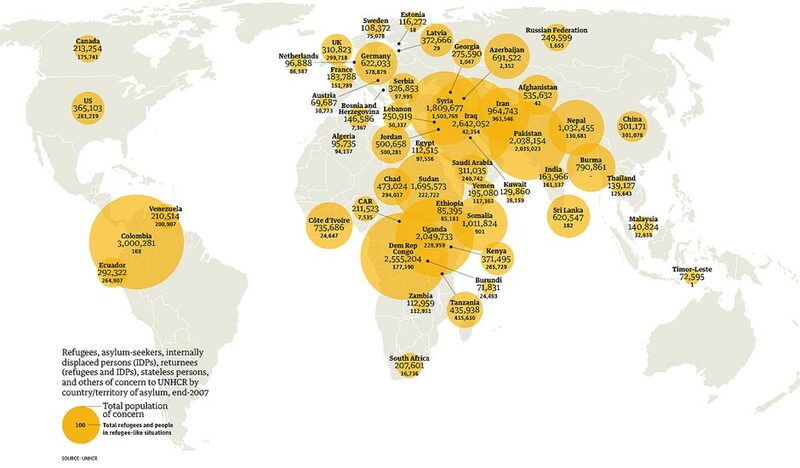 The following illustration depicts the number of refugees who are fleeing or who have fled climate change. Conflicts Fueled by Climate Change, The Guardian. For this reason, developed country financing assistance for emissions reduction and adaptation programs in developing countries is not only legally required but practically necessary to reduce climate change-induced problems and conflicts in developed countries. Three papers have been recently published that lead to the conclusion that human-induced climate change poses a much more urgent and serious threat to life on Earth than many have thought who have been relying primarily on the conclusions of the Intergovernmental Panel on Climate Change (IPCC). This paper first reviews these papers and then examines the ethical questions by the issues discussed in these papers. On July 31, 2018, a paper was published in the Proceedings of the National Academy of Sciences which should create a shiver of fear in all humans everywhere. The paper, Trajectories of the Earth System in the Anthropocene by Steffen et.al., explains how human-induced warming is rapidly approaching levels that may trigger positi climate feedbacks which could greatly accelerate the warming already plaguing the world by causing record floods, deadly heat waves and droughts, increasing tropical diseases, forest fires, more intense and damaging storms, sea level rise, coral bleaching, and acidification of oceans, all of which are contributing to increasing the number of refugees which are destabilizing governments around the world. This paper explains that, contrary to common assumptions made by many in the international community that positive feedbacks in the climate system that could cause abrupt temperature increases would not likely be triggered if warming could be limited to 20 C above pre-industrial levels, positive feedbacks could be initiated between current temperatures and 20 C. Moreover, once triggered the additional warming caused by these feedbacks could initiate other feedbacks creating a cascade of positive feedbacks, each of which could speed up the warming which is already causing great harm and suffering around the world. The paper claims this mechanism could make life on much of the Earth uninhabitable which could lead to social collapse on the global scale and ultimately to warming increases that human reductions of greenhouse gases (ghg) emissions alone would not prevent until the global system reached a new temperature equilibrium at much higher temperatures than the human race has ever experienced. In other words, cascading positive feedbacks in the climate system could result in humans losing control over preventing disastrous warming. Another recent paper published in mid-August in Nature Communications by Anthony et. al., 21st-Century Modeled Permafrost Carbon Emissions Accelerated by Abrupt Thaw Beneath Lakes, concludes that models used to predict climate impacts have failed to incorporate abrupt carbon feedback from permafrost decay that recent evidence has revealed is now possible. In fact, the paper claims that early stages of processes that lead to permafrost degradation are already underway, a phenomenon which leads to release of dangerous amounts of methane and CO2. This paper further concludes that carbon emissions from melting permafrost could increase soil carbon emissions by 125–190% compared to gradual thaw alone. This paper summarizes major conclusions from a third recent paper which analyzes IPCC’s consistent underestimation of climate change impacts. This paper, What Lies Beneath: On the Understatement of Existential Climate Risk, (hereinafter “WLB”), recently published by the Breakthrough Institute, claims both that the risks posed by climate change are far greater than is evident from the conclusions of IPCC and examines why IPCC has frequently underestimated threats from climate change. 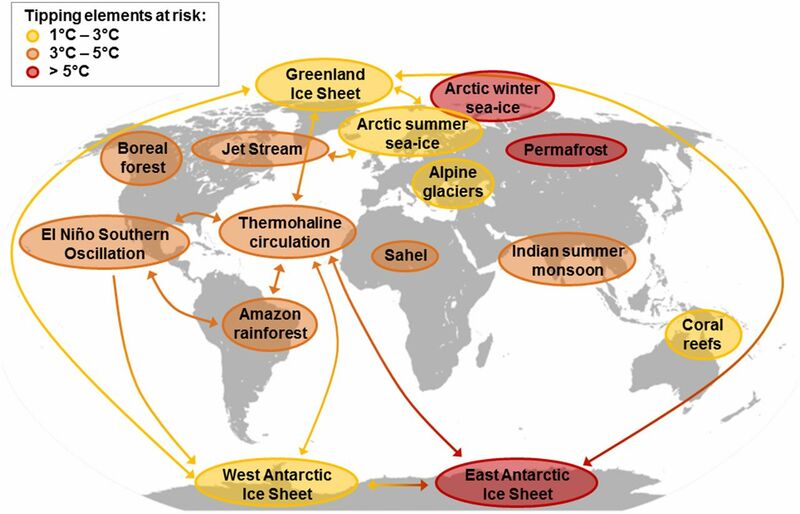 The WLB paper also explains how IPCC’s understatements of likely climate change impacts affect what is generally claimed among climate policy-makers about elements of climate science including climate models, climate tipping points, climate sensitivity, carbon budgets, permafrost and carbon cycles, arctic sea ice, polar ice-mass loss, and sea-level rise. The following summarizes some of the main paper’s conclusions on these matters, although we recommend that interested parties read the WLB’s full description of these issues. The full paper also should be consulted for footnote sources of the following conclusions. The WLB report characterizes IPCC reports as presenting “detailed, quantified (numerical) modeling results-such as feedbacks that the models account for in a descriptive non-quantified form. 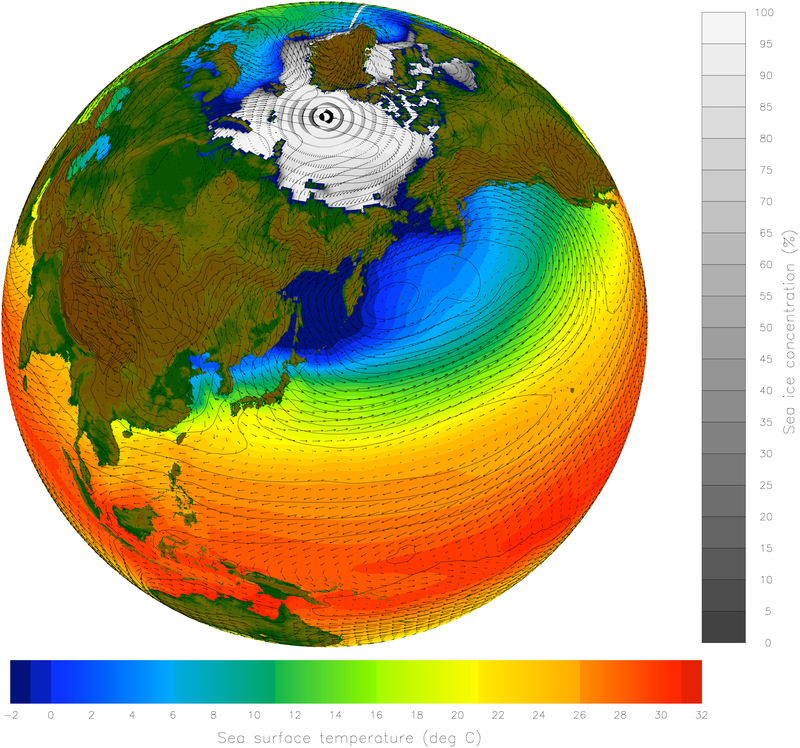 Sea-levels, polar ice sheets, and some carbon-cycle are three examples. Because policymakers and the media are often drawn to the headline numbers, this approach results in less attention being given to the most devastating, high-end, non-linear and difficult to quantify outcomes.” (WLB, p. 19). There is a wide range of literature that suggests that climate sensitivity which includes these feeedbacks-known as Earth System Sensitivity (ESS), is 4-6 0 C. (WLB, p. 22). The IPCC reports fail to say that once projected emissions from future food production and deforestation are taken into account there is no carbon budget for fossil-fuel emissions for a 20C target. (WLB, p. 24). The 2007 IPCC assessment on permafrost did not venture beyond saying “changes in snow ice and frozen ground have with high confidence increase the number and size of glacial lakes, increased ground instability in mountain and other permafrost regions and led to changes in some Arctic and in Antarctic ecosystems. It reported with high confidence that methane emissions from tundra and permafrost have accelerated in the past two decades and are likely to accelerate further. It offered no projections regarding permafrost melts. (WLB, p.25). Conclusion-Ethical Issues Raised by IPCC’s Consistent Underestimation of Climate Change Impacts. 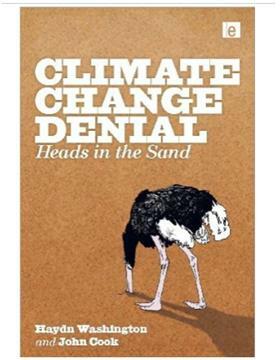 As we have seen, the “What Lies Beneath” Report attributes IPCC’s consistent underestimation of climate change impacts to both the consensus process that IPCC follows in which governments must approve aspects of final IPCC reports and to IPCC’s following norms often followed by scientists which eschew making any claims that cannot be supported by empirically tested observations. As we have claimed before in Ethicsandclimate.org, there is a potential conflict between IPCC’s mission to synthesize the peer-reviewed climate change scientific literature, which normally requires adequate levels of scientific proof before drawing conclusions, and the precautionary principle stated in article 3 of the United Nations Framework Convention on Climate Change (UNFCCC), which requires governments to act despite scientific uncertainties. A precautionary science would identify all scientifically plausible impacts, not only those impacts that can be identified with high levels of scientific certainty or impacts about which quantitative probability statements derived from empirical observations can be stated. 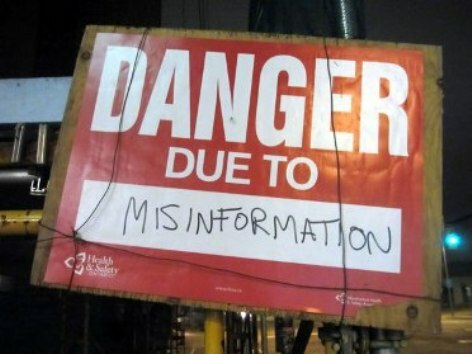 If the precautionary principle is to be taken seriously then decision-makers should be informed about all potentially dangerous impacts even if quantitative probability statements about these impacts can’t be derived from observations of how a physical system works. Since the UNFCCC expressly adopted the precautionary principle, a strong case can be made that IPCC should identify all scientifically plausible impacts. If it were to do this, IPCC should, of course, be clear that some impacts are less certain than others. Identifying all scientifically plausible climate impacts is also required as a matter of ethics once there is a reasonable basis for concluding that certain human behavior is dangerous to others. 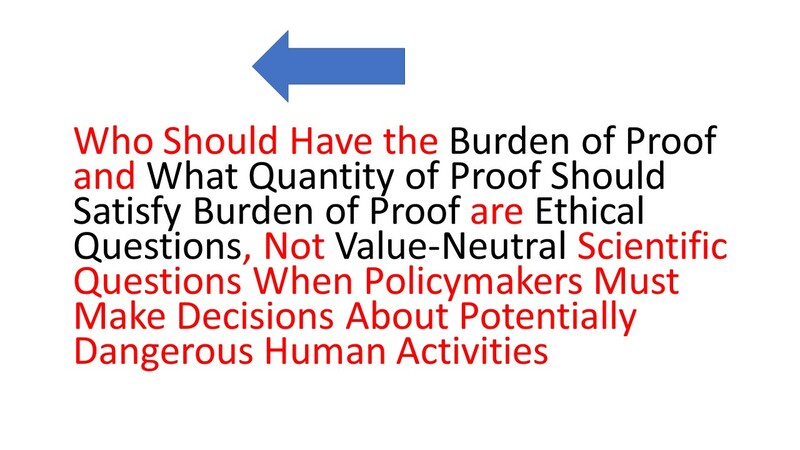 Who should have the burden of proof and how much proof should be required to satisfy the burden of proof in the face of scientific uncertainty about dangerous behavior are fundamentally ethical questions, not ‘value-neutral’ scientific matters, yet scientists are rarely trained in ethical reasoning and very rarely spot the ethical issues raised by decisions about dangerous human behavior that must be made in the face of scientific uncertainty. Given that the potential harms from climate change include an existential threat to life on Earth, as a matter of ethics, those who claim that scientific uncertainty is justification for not taking strong action to reduce the threat of climate change should have the burden of proof of demonstrating with very high levels of proof that ghg emissions levels are safe. Ethics would require higher levels of proof of those who are engaged in dangerous behavior to prove their behavior is safe in proportion to how potentially dangerous the behavior is especially for harms to others who have not consented to be harmed and for behaviors that become more dangerous the longer one waits to reduce the uncertainty. Given that climate change actually threatens life on Earth including billions of people who have not consented to put at risk, and given that waiting to reduce ghg emissions makes the problem more threatening, ethics would shift the burden of proof to those who are most responsible for raising ghg emissions to prove with very high levels of proof that human emissions of ghg are safe even if there is some uncertainty about the amount of warming that different levels of ghg emissions will cause. For this reason, the problem created by IPCC’s underestimation of climate change impacts may not be exclusively the fault of IPCC. 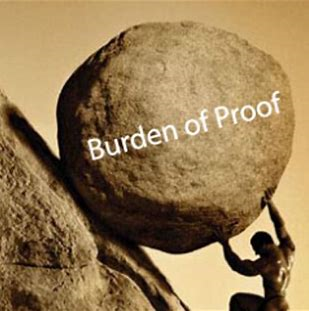 The problem may also be the fault of policymakers who fail to respond to the enormous potential harms entailed by human-induced warming by demanding that opponents of climate change policies shoulder the burden of proof by demonstrating with high levels of proof that ghg emissions will not cause serious harms. 2. 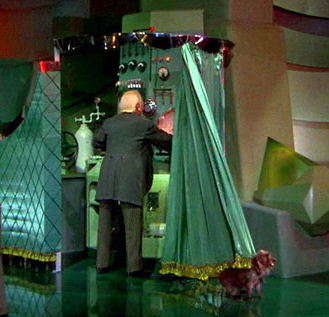 On Confusing Two Roles of Science and Their Relation to Ethics. Policymakers have a vital need for scientists to explain all scientifically plausible harms that may result from human activities even if the magnitude and creation of potential harms are uncertain. In fulfilling these responsibilities, scientists may not ignore potential harms because they are unable to determine probabilities about the likelihood of their occurrence based on empirical observations. 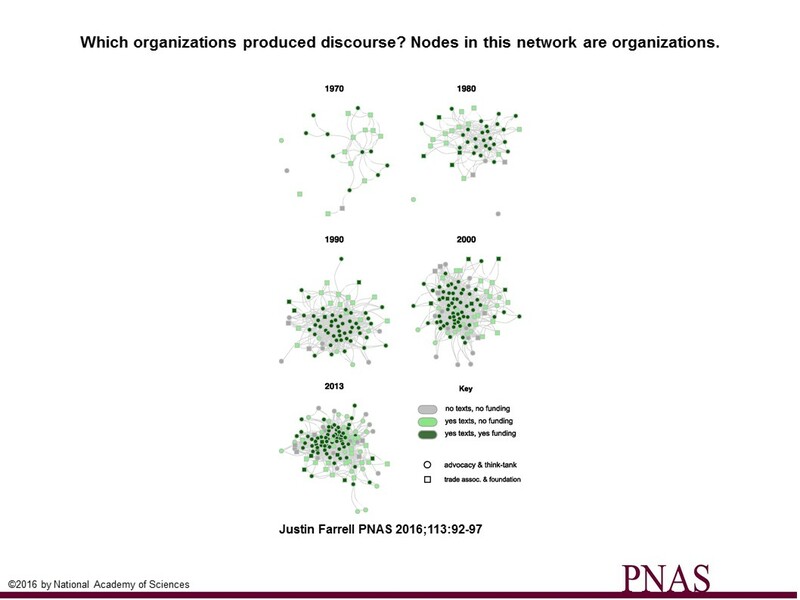 Yet because scientists often follow the epistemic norms of their science when engaged in scientific research which usually require adequate levels of proof before making causal claims, policymakers need to be clear when interacting with scientists that their policymaking responsibilities require that they, the policymakers, protect citizens from all plausible harms. Therefore policymakers need scientists to identify all scientifically plausible harms. Because IPCC’s mission is to synthesize the existing peer-reviewed climate science, which very likely does not include scientific conclusions about plausible harms partly based on speculation, IPCC cannot fulfill the role of science that policymakers need when policymakers are seeking to protect citizens from all plausible harms, namely to inform humanity about all plausible climate change impacts. Thus, there is a basic conflict between IPCC’s mission of synthesizing peer-reviewed climate change science and providing policy-makers with information about all scientifically plausible climate change impacts. This need of policy-makers to understand all plausible harms creates an enormous challenge for mainstream scientific institutions which usually rely on peer-review in which scientists normally review scientific claims by comparing claims to empirically tested observations which are the ground of the scientific enterprise. Yet, as Hans Jonas explained in The Imperative of Responsibility, In Search of an Ethics in a Technological Age, the power of modern technology to create catastrophic harms such as those harms now foreseeable from human-induced climate change, ethics requires that policy-makers approach these matters with a “heuristics of fear,” replacing the former “projections of hope” that traditionally guided policy (Jonas, 1984, p.x), Yet, mainstream science is often uncomfortable with conclusions not grounded in scientific observations. If this is so, ethics requires that IPCC’s mandate be amended to synthesize scientifically plausible conclusions about climate change outcomes. The WLB report consistently argues that the remedy to IPCC’s tendency to underestimate climate impacts is to allow or require more speculation about uncertain but plausible climate impacts. However, those governments that seek to restrict discussion of all impacts to those that have been proven with relatively high levels of proof would likely argue that speculation could lead to an overstatement of climate impacts. Yet following a precautionary science that identifies all plausible climate change impacts including those that have been based on speculation can guard against overstating the seriousness of climate impacts by allowing those who claim that the plausible impacts have been overstated to provide reasons for their claims so that policymakers can judge whether some of the plausible but not fully proven impacts are arbitrary or without any plausible scientific support. This would place the burden of proving harm appropriately, as a matter of ethics, on the parties that seek to justify continuing dangerous behavior. Nations which have demanded high levels of proof before reducing their contributions to climate change have failed to abide by their ethical and legal duties to not harm others and not abide by the ” precautionary principle” which they agreed to UNFCCC and the Paris Agreement. 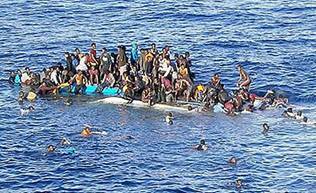 An ethical analysis of those nations that refuse to adopt policies that may be necessary to prevent catastrophic harm on the basis of their economic interest would also strongly condemn these nations as deeply morally bankrupt. What Can Non-Catholics and Nonbelievers Learn From the Pope’s Encyclical About the Ethical Dimensions of Climate Change? Can non-Catholics and nonbelievers learn anything from the Pope’s encyclical on climate change? 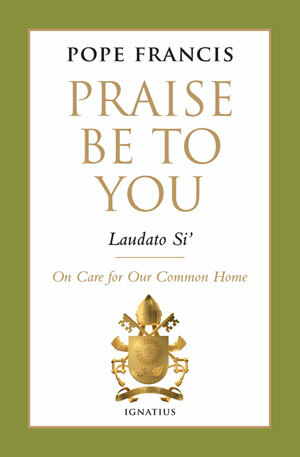 Although, of course, the Pope holds positions on some issues that many non-Catholics and nonbelievers do not agree with, are there insights about climate change ethics that non-Catholics and even nonbelievers can learn from the Pope’s recent encyclical Laudato Si, On Care for Our Common Home? This encyclical has gotten wide publicity largely because of its message that we have a moral responsibility to prevent climate change. Yet this 184 page document is about much more than climate change. Although this entry will focus mostly on climate issues, it is important to understand that the encyclical calls for deep moral reflection on and response to many problems threatening the common good including poverty, staggering economic inequality, homelessness, lack of meaningful work, diminishing water supplies, loss of global biodiversity, as well as climate change. Furthermore, the encyclical argues that there is a common cause of these problems, namely a global economic system which produces wealth, an outcome which the encyclical acknowledges is a good thing, while destroying planetary common natural resources and failing to produce social and institutional structures necessary to achieve basic human dignity. The encyclical contains a strong critique of the current form of capitalism. It is not, however, as claimed by many on the political right, a call for centralized government control of the economy but a call for a more regulated economy and economic investment in things needed to assure that all human beings can live in basic dignity. The encyclical makes a strong argument that government policies that call for strong economic growth alone will not protect the environment nor provide institutional mechanisms needed to assure social justice and human dignity. Throughout the document, the encyclical grounds its moral conclusions in Catholic theology but also widely appeals to the Golden Rule which is recognized in one form or another by all of the world’s religions and is a major tenet of much of the most universally recognized foundations for secular ethics. Thus the encyclical is a call to protect our common home not just to Catholics but to all of the people in the world. Its ethical logic is supportable both by Catholic theology and mainstream secular ethics. The principle of the subordination of private property to the universal destination of goods, and thus the right of everyone to their use, is a golden rule of social conduct and the first principle of the whole ethical and social order. (Laudato Si, 93). The encyclical has received most attention for its claims about the moral responsibility to prevent climate change. For reasons discussed on this website many times, if the Pope’s encyclical is successful in getting civil society to see climate change as essentially a moral and ethical issue, it is likely to have a profound practical importance for climate change policy making, in fact, it could radically transform how climate change policy has been debated for over 35 years. There are two reasons for this. One, climate change more than any other environmental problem has features that scream for attention to see it fundamentally as a moral issue. 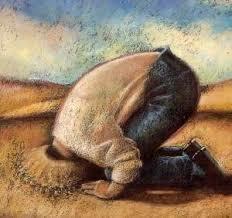 In fact, climate change policy makers can’t think clearly about policy until they respond to several ethical questions. 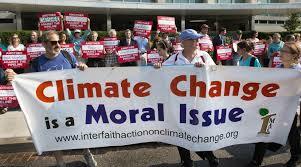 Second, those who have opposed action on climate change for over 35 years have tricked citizens, including most members of environmental organizations, to argue about climate change policies in ways that ignore moral and ethical questions and in so doing have weakened the strongest arguments that can be made in response to arguments made by opponents of climate change policies. (4) Most importantly, there is almost no hope of preventing very dangerous climate change unless all nations urgently limit their ghg emissions to their fair share of safe global emissions. To understand the link between urgency and fairness, one must understand aspects of climate science. The Earth’s climate will not respond to increased atmospheric concentrations of ghg by raising temperatures in proportion to how much ghg are added to the atmosphere. That is, the earth’s climate system does not respond to increased atmospheric concentrations of ghgs in the same way the sound on a radio turns up in proportion to how the volume dial is turned up. The climate system is known to have threshold switches in addition to dials which will cause global temperatures to escalate abruptly if certain thresholds are exceeded. For instance, we know about 50 million years ago ocean temperatures passed a threshold which quickly released large amounts of methane hydrates stored in the bottom of the ocean which then caused global temperatures to rapidly increase abruptly by 5 degrees C.
Because the scientific community believes that the probability increases significantly that the switches in the climate system which will cause abrupt climate change will be triggered if warming is allowed to increase by 2 degrees C or perhaps 1.5 degrees C above preindustrial temperature levels, every country in the world agreed in Copenhagen in 2009 to try and keep warming from rising more than 2 degrees C.
Because high emitting countries in particular have allowed the atmospheric concentration of CO2 to rise to 400 ppm from the preindustrial level of 280 ppm and at 450 ppm there is only approximately a 50 % chance of limiting the warming to 2 degrees C, the international community is rapidly running out of time to prevent catastrophic warming. In fact, if the international community wants to have a reasonable probability of limiting warming to 2 degrees C, the entire world must limit all ghg to approximately 350 GtC and given that the world is now emitting 10 GtC per year, even if the international community could stabilize current ghg emissions at existing levels, in about 30 years any additional emissions of ghg would exceed a carbon budget that may not be exceeded to give a reasonable chance of preventing catastrophic climate change. Given this, the mainstream scientific community is screaming to the world that the international community is rapidly running out of time to prevent dangerous climate change. Even more disturbing some of the climate triggers that cause abrupt changes are now starting to be visible, including Arctic sea ice disintegration and methane release from the Asian tundra. Because of all of this, the most contentious issues in international climate negotiations are issues about what is each nation’s fair share of safe global emissions. Given that some nations more than others have much higher per capita emissions and historical emissions and if all nations must reduce their ghg emissions to their fair share of safe global emissions, some nations more than others must reduce their emissions much faster than others. For this reason issues of justice and fairness are at this moment the most contentious issues in international climate change negotiations not only in regard to what is each nation’s fair share of safe global emissions but who should pay for urgently needed adaptation measures in poor developing nations. And so a nation cannot think clearly about what its climate policy goal should be without considering two ethical questions. The first is what is the atmospheric ghg concentration that a nation’s climate policy is seeking to achieve, such as 450 ppm CO2. This is a moral issue at its core because it is a position on who the country believes it is OK to kill and what damages to ecological systems on which life depends are acceptable. The second ethical issue that a nation must confront in setting national policy is what is the nation’s fair share of a safe global carbon budget for the entire world. For these reasons, climate change policy makers must take positions on profound ethical and justice issues in setting climate policy, issues that governments can’t duck when determining national climate change policy because every national ghg emissions target is already implicitly a position on these ethical questions. However, perhaps an even more important reason why seeing climate change as essentially a moral issue is so practically important for policy stems from the success of fossil fuel companies and other opponents of climate change policies to frame climate policy debates over the last 35 years so that the debates have almost exclusively focused on three issues that have ignored the moral issues . Third, for the US to act would be unfair or ineffective until China and India do so. 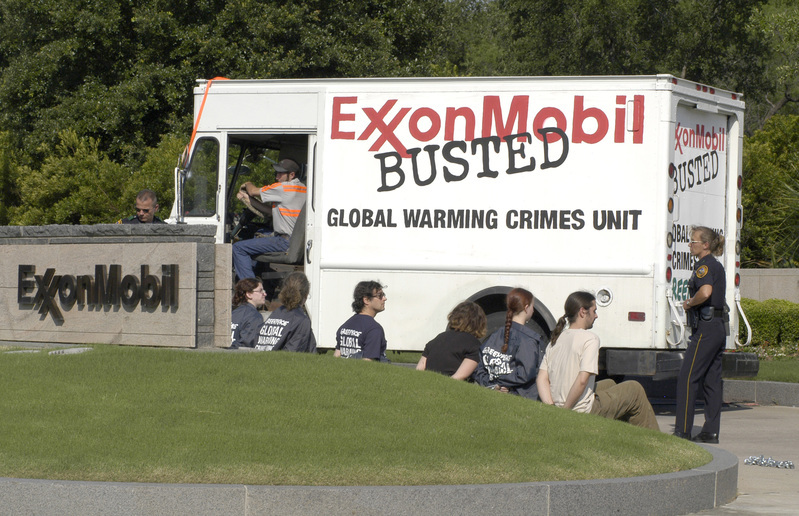 US citizens and environmental groups have unknowingly been tricked into responding to these arguments by making factual responses to these claims, such as climate change policies will increase jobs, despite the fact that each of these arguments contain hidden assumptions which clearly flunk minimum ethical scrutiny. For example, as we have seen, opponents of climate change policies have frequently based their opposition to climate policies on the claim that climate change policies will destroy US jobs or the US economy. The response of NGOs and citizens to this argument has largely been to assert that climate change policies will create jobs and boost the economy. Yet this response unknowingly implicitly supports the very dubious hidden normative assumption of the climate policy opponents’ argument, namely that the US should not adopt climate policies if the policies will hurt the US economic interests despite the fact that this argument is obviously wrong when viewed through an ethical lens because polluters not only have economic interests, they more importantly have moral responsibilities to not harm others. As we have seen, almost all cultures agree with the Golden Rule which holds that someone should not be able to kill others because it would be costly to the killer to stop the killing behavior. Thus, the failure to respond to the opponents’ of climate change policies arguments on moral grounds is an astonishing oversight in light of the fact that the moral objection is very strong to someone who claims that they can seriously harm others if their economic interests are threatened if they have to limit their harmful activities. Such a claim violates the most non-controversial ethical rules including the Golden Rule and many well accepted provisions of international law based on the Golden Rule such as a rule called the “no harm principle” which asserts that all nations have a legal duty to prevent their citizens from harming people outside their jurisdiction. If citizens who support climate policies ignore the ethical problems with the arguments made by opponents of climate policies on the grounds that climate policies will impose costs on those who are harming others, they are playing into the hands of those responsible for putting the planet at risk from climate change. For this reason, the Pope’s claim that climate change must be understood as a moral problem has the potential to change the climate debate in the US although to give the Pope’s message power citizens must work to turn up the volume on the obvious ethical problems with arguments made by opponents of climate change policies. Now the Pope’s encyclical claims that the failure of citizens to acknowledge moral obligations entailed by climate change to be a symptom of a larger problem, namely the dominance of an aggressive form of capitalism which is undermining the common good in other ways. Opposition to climate change policies has been organized by corporations and free market fundamentalists foundations and think tanks who share an ideology that if every person works in his or her own self interest, the market will achieve the common good by virtue of the invisible hand. This is so despite the fact that even mainstream economists admit that markets will not internalize externalities, that is, take into account harms to those who do not participate in market transactions, nor produce distributive justice. Market rationality also translates all values into commodity values which crowd out other values including respect for life while not acknowledging the need to set limits on human behavior consistent with limits of natural resources. The aggressive economic capitalism that is now dominating most of the world is also corrupting democracies by the infusion of money into politics, funding public relations campaigns to manipulate democratic outcomes, placing people with loyalty to those with economic interests into government management positions, and preventing government investment policies needed provide humans with human dignity. If we want to protect the common good, achieve social justice in the world, and avoid catastrophic climate change, we will need people around the world with courage to publicly challenge the assumptions of an unregulated capitalism on moral grounds. As the Pope has said, public policy that exclusively focuses on increasing economic growth will not protect our common home or achieve social justice. .a. If Pope Francis is Right that Climate Change is a Moral Issue, How Should NGOs and Citizens Respond to Arguments Against Climate Policies Based on Unacceptable National Costs? b. If Pope Francis is Right that Climate Change is a Moral Issue, How Should NGOs and Citizens Respond to Arguments Against Climate Policies Based on Scientific Uncertainty? c. If Pope Francis is Right that Climate Change is a Moral Issue, How Should NGOs and Citizens Respond to Arguments Against Climate Policies Based on the Failure of Other Countries Like China to Act?